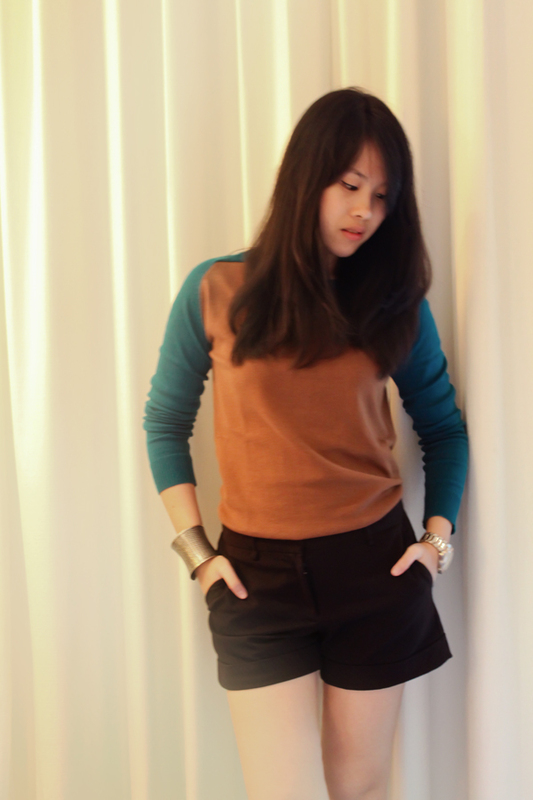 Just a quick post of me in this color blocking outfit, wearing Zara knit top. Try blocking with cool shades; it's just as fun as playing around with bold colors! fantastic top! love those colors together! I love this! its so simple and effortless! you look pretty! nice looks..
You look so pretty! I really like the top. Great look!! Love your blog!! Hope you visit mine!! that top is cute. i love this look on you for your beautiful hair and edgy jewelries too!